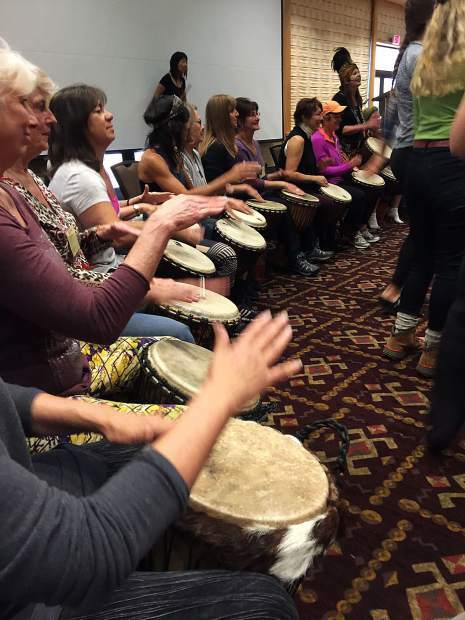 Wellness Weekend brought a high-energy drum circle to Granlibakken Tahoe, filled with empowerd people celebrating health and wellness. Last weekend, nestled among the trees, transformational seminars and workshops welcomed a community of kindhearted souls for Wellness Weekend on Nov. 11-12. In years past, the event has been for women-only and hosted by Granlibakken Tahoe. This year, they opened the doors to both men and women interested in the opportunity to dive a little deeper into learning about the space in which holistic methods intersect western medicine. 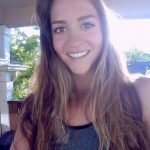 “This weekend is all about the fusion of conventional, western medicine and alternative offerings, creating this beautiful platform of healing where we realize that there is a position and a place for both – we all want to feel good,” said Shawna West, who handles health and wellness promotions for Granlibakken Tahoe. Saturday kicked off the event with sunrise yoga and meditation followed by the first keynote speaker, Kim Bateman, Ph.D, executive dean of the Tahoe-Truckee Campus of Sierra College. During her discussion entitled, “Tickling Your Funny Bone,” Bateman discussed the health benefits of laughter, as well as why we naturally lean on humor in stressful or uncomfortable situations. Rolf Godon, a movement instructor based out of Truckee, led one of the weekend’s interactive sessions in Ki Gong where students learned a series of flowing postures with precise hand placement to help the body’s energetic system flow. “We’re using the energy from the previous presentation for this workshop, using the energy of the smile. Nothing to smile about? Fake it,” he laughed as he welcomed a room full of students. Karen Harootenian and her longtime friend Michelle made plans to attend Wellness Weekend together last August, and made their way up last weekend from the Bay Area for an enlightening girls’ weekend. “This is our first time and we’re so happy we’re here. There’s something about Tahoe that soothes your soul, it makes you feel like everything’s going to be OK,” Harootenian said. The event’s headline presenter, Roger Gabriel, master educator from The Chopra Center, addressed the group with a seminar entitled “Release the Karmic Secret”. He explained that everyone is connected on a karmic level and that karma is an action that creates energy and causes a reaction. Therefore, everything that happens is a result of past actions. For two hours, Gabriel barely scratched the surface of all that the laws of karma have to teach. But he was able to deliver a clear message: you are in charge of your universe; if you don’t like the way your life is going, change it. He explained that habits, fears, doubts, concepts, expectations and attachments hold us back from our karmic potential and that every thought we think or word we speak has karmic significance. “Take responsibility for your life and make the necessary changes. We are all part of the same wholeness, we see differences in each other and that causes separation, which leads to problems. We are all one, you can’t separate a wave from the ocean,” Gabriel said.